This beginner class covers all the basics of extract brewing and teaches you how to get creative with different grains, yeasts, and hops. 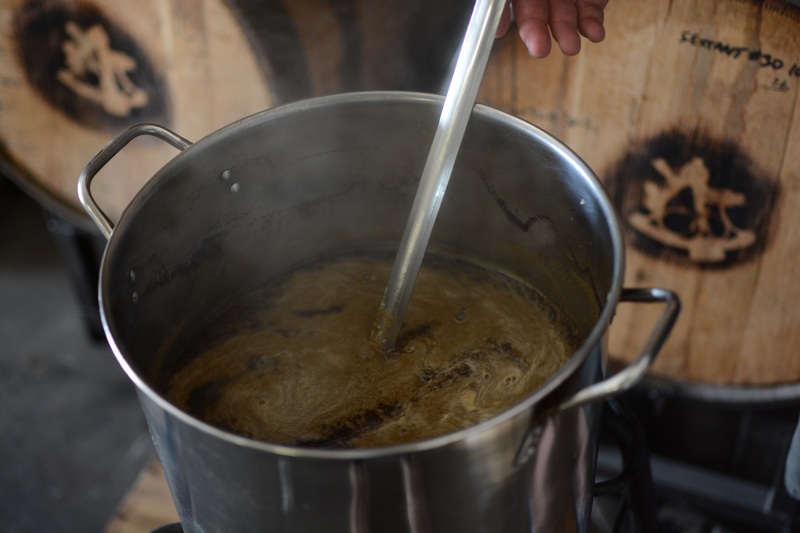 Join Ballast Point Brewing Co. and Home Brew Mart as we brew a 5-gallon batch during the class and show just how easy it is to make great homebrew! This class will be held from 12:00pm to 3:00pm or so at Home Brew Mart (5401 Linda Vista Road, Suite 406, SD 92110). The cost of the class is $25 and includes three 4oz tasters and a pair of brewing safety glasses. This class will be limited to 20 attendees. A non-refundable reservation is required. Purchase the class online to make a reservation, or register in person at Home Brew Mart. All class participants will receive a 10% discount on any purchases made on the day of the class only. Note: Once signed up, your spot will be saved in our records and you will receive a reminder email a week before the class. Unless requested, we will not send you anything physical by mail. Transfer Policy: Classes are non-refundable but they are transferable. If you decide you would prefer a different class date, we can transfer you. However, to be fair to others who may want that spot, we will only transfer if it's within one week's notice. From Anonymous of Long Beach, California on 12/4/2017 . Informative and fun. A little disappointing we didn’t get the glass promised in the description, but class was worth the money regardless. From Lawrence of San Diego, California on 11/14/2017 . Doug was an excellent teacher, and the class really helped me understand what all goes into basic home brewing. Hopefully one day I will be in his shoes. From Anonymous of Wilmington, North Carolina on 10/8/2016 . Lots of good info and great beer. Excellent staff that was very knowledgeable and helpful.